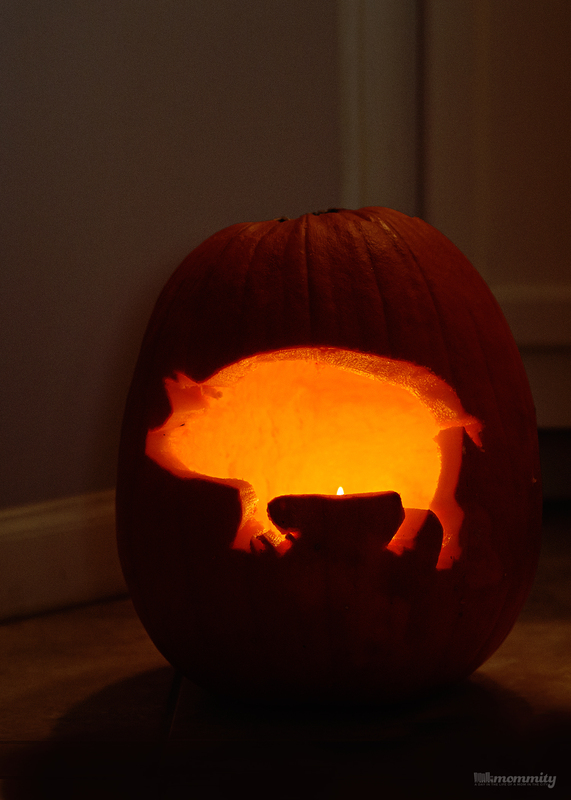 Pumpkin Stencil for All Bacon Lovers & Other Fun Bacon Crafts! This post was sponsored by Farmland. All thoughts are my own. Ahh, the smells of fall! I love the crisp smell that comes in the air as the weather cools down. The smell of pumpkin that is almost everywhere you go. The wood burning smell of fireplaces and bonfires. And of course, best of all…. the delicious aroma of bacon! Okay, so maybe bacon isn’t REALLY a fall smell. It’s actually a delicious smell all year round! For bacon lovers like myself, however, fall is just as good a time as any to savor those delicious morsels! If you agree, the Farmland Bacon Club is the place for you! This one-stop shop will help you to get creative when fulfilling your bacon cravings this season. Bacon lovers can do a number of things, including gaining access to exclusive bacon content, fun giveaways, and extreme recipes, just by signing up! My family and I had an absolute blast creating a Bac-O’Lantern with this awesome stencil we downloaded from the Farmland Bacon Club! You can also make fun crafts like a DIY Bacon Candle, and a Bacon Bier Stein! If you’re looking for the best beer to pair with your bacon, you’ll want to check out the Bacon & Beer Pairings on the site as well! The one of a kind Farmland Bacon Club is full of fun, useful, and entertaining content. It isn’t just reserved for the fall either. In fact, members are eligible to win bacon-centric prizes throughout the entire year! You can also view unique bacon content, including some really awesome original videos and outrageous bacon recipes. Signing up only takes a few minutes and bacon lovers can join anytime by visiting FarmlandBaconClub.com. I love how Farmland Foods is so passionate about pork, working alongside American farm families to offer the best quality pork products, since 1959! Today, more than 50 years later, that same pride still stands strong and it shows in their top of the line products, and the awesome way they’ve brought together bacon enthusiasts across the nation through the Farmland Bacon Club! Do you have your own unique bacon-inspired recipe or craft? Drop a comment below!